For the second time, the International Transport Federation (ITF) had to help Russian crew anchored south of Skagen, in Denmark. After months of wrangling, 324.370 US dollars in unpaid wages have now been paid to the crew of 19 of the Turkish/Russian ship ‘Natig Aliyev’. This time the money is not paid by the shipping company Palmali Shipping but by the new charterer of the ship. Yesterday Danish authorities released the ship which had been anchored south of Skagen for the past eight months. Has this shipping company no shame? This question becomes relevant again as the crew of the Turkish/Russian-owned tanker ‘Natig Aliyev’ can finally look forward to receiving months of owed wages as well as seeing the ship operating under a new charter. The owed wages are paid not by the shipping company but by the new charterer of the ship. This is the second time within six months that ITF has had to put its foot down to ensure payment of the ship’s crew. And it is the third time within a year that the same Turkish/Russian shipping company, Palmali Shipping, has been caught red-handed in Denmark when violating the international convention to secure the rights of seafarers, the MLC. This time the total amount owed the crew in wages is exactly 324.370 US dollars. In March, Danish ITF inspector Morten Bach ensured the owed payment of the crew dating back to November last year – a total of 250.000 dollars. At the time the situation on board the anchored ship was extreme as the crew was left without provisions. The situation was brought to the attention of ITF when the crew sent an anonymous cry for help to inspector Morten Bach. The first words of the message were: “Please help us”. By then they had been anchored off Skagen for three weeks. The ship had arrived at the anchorage south of Skagen in early February. Based on a dispute regarding bunker oil Danish authorities had arrested the ship owing to a claim made by a bunker company. At the end of February, the Danish Maritime Authority also detained the ship after the report from ITF on violation of the MLC convention. Yesterday, on Monday September 24, however, all the problems of the ‘Natig Aliyev’ and its crew seemed about to be solved. Formalities regarding the cancellation of arrest as well as detainment fell into place late in the day. And the owed wages of the crew have been paid into a secured account within the framework of ITF, from which they will be transferred into the accounts of the crew members. Yesterday, ITF inspector Morten Bach came on board the ship to convey the good news to the crew. “Each member of the crew has verified their bank information to me. So now we can start transferring the money to them. Naturally, they were very happy”, says Morten Bach. “But it is shocking that a shipping company can treat its seafarers this way. Several of them had not been paid since late February. I can only warn unscrupulous shipping companies against entering Danish waters. In ITF we pay attention and we have a very good cooperation with the Danish authorities including the Danish Maritime Authorities”, he adds. 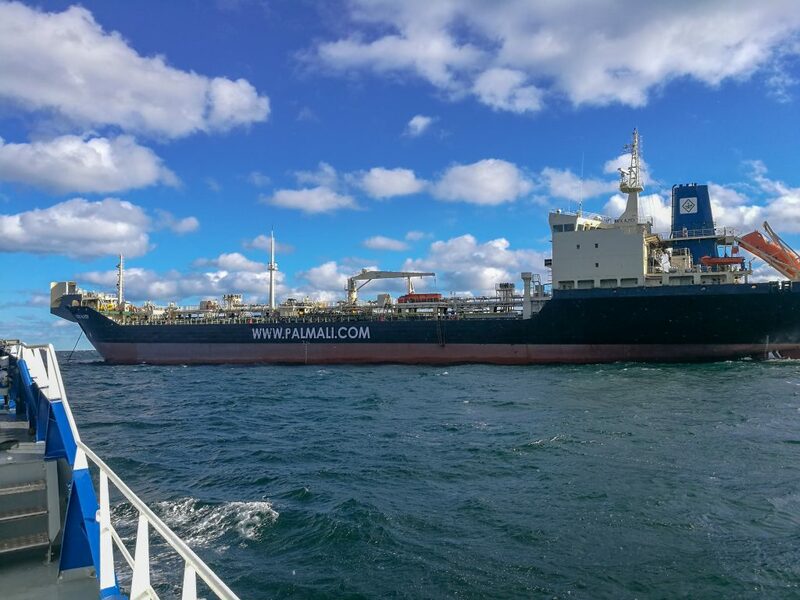 With the help of a Danish agent in Aalborg, the ship is now entering into a new charter for a company in Estonia. The Estonian company also takes over crew management for the ‘Natig Aliyev’ and, as mentioned, has ensured payment of the wages owed the crew. The ‘Natig Aliyev’ is expected to sail south towards a loading port in the Baltic countries.